Grew Up… neglected. 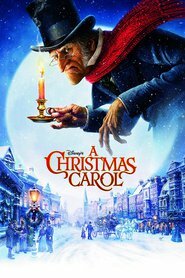 Born to a father who didn't particularly love him, Scrooge was shipped off to a boarding school where he essentially grew up on his own. Living… in his London house, which is always freezing because Scrooge is too cheap to spend money on coal to heat it. Although it's getting close to Christmas, you won't find a Christmas tree or presents in his house. It's a holiday Scrooge especially despises since he never had a loving family to celebrate it with. When anyone wishes him a "Merry Christmas," Scrooge always bitterly replies "Bah! Humbug!" Profession… moneylender. Scrooge built a successful lending business with his partner Marley, who was nearly as greedy and self-involved as Scrooge. But after Marley recently passed away, Scrooge is now running the business on his own. Although Scrooge works hard and likes the financial benefits of his work, he can't stand dealing with his ungrateful and lazy employees. For example, Scrooge can't believe that his clerk Bob Cratchit actually asked for a paid day off to celebrate Christmas. Interests… money. For Scrooge, it's all about money, money, and more money. Making it, counting it, saving it – so long as money is involved, Scrooge is interested. Though it's not clear why he is so obsessed with money since he never spends any of it. Relationship Status… single. Scrooge was once engaged to a woman named Belle, but that relationship ended a long time ago. It's hard to imagine anyone dating Scrooge, who never stops complaining or yelling. It's not even clear he has a heart. Challenge… seeing ghosts. Although Marley died, he's not out of Scrooge's life. He has come back as a ghost with a dire warning: Scrooge needs to change his self-serving ways or he will face an afterlife that is as miserable as Marley's. Personality… bitter, rude, and greedy. But with luck and a little supernatural aid, Scrooge might just have one last chance to turn his life around. Ebenezer Scrooge's popularity ranking on CharacTour is #1913 out of 5,000+ characters. See our top-ranked characters and read their profiles.